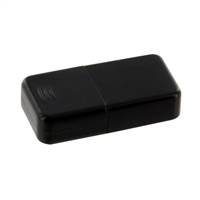 This Wi-Fi adapter has been fully tested for plug-and-play compatibility with popular Raspberry Pi operating systems. No drivers are needed - just plug it into the USB port and you'll be online in seconds. Numerous encryption protocols and full 802.11b/g/n support ensure compatibility with 2.4GHz wireless routers. High-speed data rates of up to 150Mbps are possible when connected over 802.11N networks. Of course, this adapter can be used on other platforms besides the Pi - Windows, Mac, and other Linux distributions are also supported.